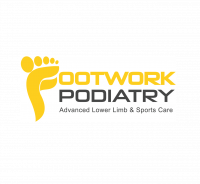 Footwork Podiatry - Sports Podiatrist & Foot Clinic Footwork Podiatry is an advanced sports care clinic with a mission to deliver the highest standard of musculoskeletal treatment to help anyone from small children to elite athletes to perform their best. They specialise in combining the latest technologies and advanced manual therapies to treat a variety of lower limb conditions. Their comprehensive treatment model has a proven track record of success in resolving many debilitating conditions such as chronic heel pain, plantar fasciitis, arthritis foot pain and different ankle problems. Footwork Podiatry's revolutionary multimodal, evidence-based treatment modalities are what sets them apart from others. 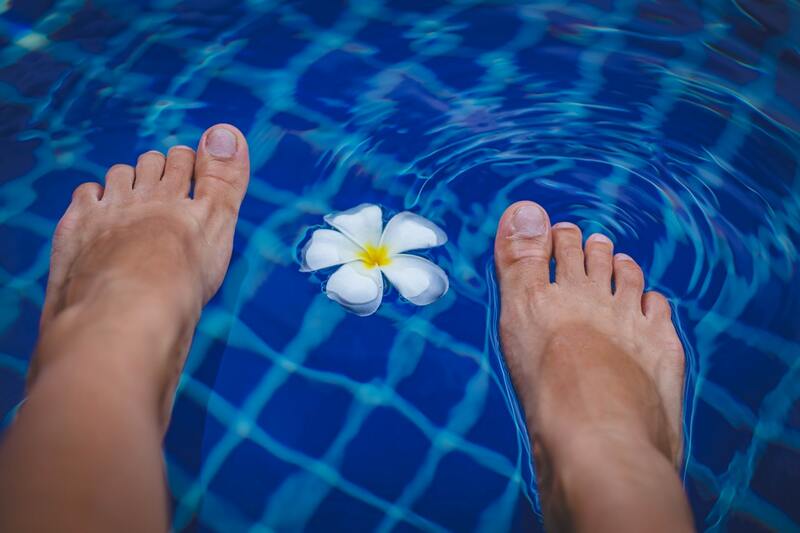 Fungal infection of the toenail, also known as onychomycosis, is a common dermatologic disorder, affecting over 10% of the population and 40% over the age of 70, says Mark Lin and Wei Lee of Footwork Podiatry. Both fingernails and toenails can be infected, although infections of the toenails are more common. This is an unpleasant condition which results in thickening, discolouration and splitting of the nail as well as lifting of the nail away from the nail bed. The infection can easily spread to other toenails or fingernails while trimming the infected toenail and even to other members of the family. Severe cases can lead to ingrown toenail and secondary infection. The deformed toenails look unattractive and can have a negative psychological impact and even reduce quality of life. Mark Lin, Principal Sports Podiatrist and Director for Footwork Podiatry says, “Current treatments include topical and oral antifungal treatments, but these can be frustrating for patients due to the high rate of recurrence, and re-infection, often between 10% and 53%. Oral medications are generally more effective than topical antifungals, but treatment can take up to several months and is associated with higher risks of liver toxicity, adverse side effects and allergies”. Fungal Nail Laser Treatment is a revolutionary new solution to treat fungal nail infections and has proven to be a safe and effective treatment. Laser Therapy is a relatively new modality but and is already considered the most effective currently available treatment for fungal nail infection without any side effects. This cutting-edge laser technology has the ability to penetrate the nail safely to reach the colony of fungal spores beneath the nail. The laser irradiation delivers high energy pulses to precisely target the site of the infection with minimal damage to surrounding tissue. Due to the light absorbing substance present in the fungus, laser irradiation results in the production of high levels of heat in the fungal cells, which effectively destroys the pathogen and resolves the infection. Laser therapy treatment first gained popularity in the United States approximately five years ago and is quickly becoming the treatment of choice in managing fungal nail infections in Australia, as it offers far greater advantages over traditional treatment of fungal nails. Fungal nail laser therapy is safe, has no side effects and is more effective for deeper infections. Mark Lin and partner Wei Lee of Footwork Podiatry are leading Sports Podiatrists in Sydney. Principal Sports Podiatrist and Director, Mark Lin says, “Our revolutionary, multimodal, evidence-based treatments are what set us apart. We take top-quality care seriously, and our podiatrists undertake regular in-house training and are committed to ongoing professional development to expand their knowledge and continuously update their clinical skills”. Footwork Podiatry will also sanitise your footwear using a unique ultraviolet (UV) Light Shoes Steriliser called SteriShoe. SteriShoe is clinically proven to kill up to 99.9% of the micro-organisms that live and thrive within most peoples’ footwear, and can cause Toenail Fungus, Athlete’s foot and other foot infections. The unit can be purchased from them directly or the service can be provided on site. Footwork Podiatry has two convenient locations, in Roseville on Sydney’s North Shore and Sydney CBD.